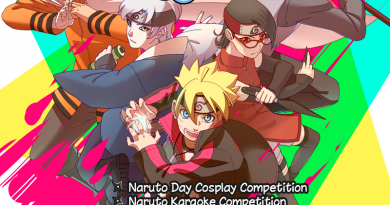 Naruto Cosplayers PH is collaborating with Blitzworks for Cosmic Con 2017 on May 13-14, 2017. The event was first held in 2014 and features a lot of new innovation in events. 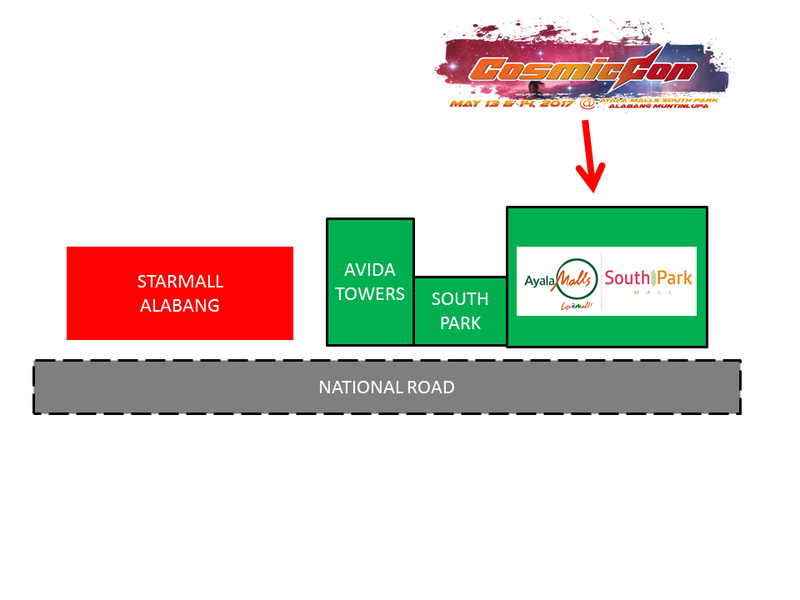 This year the venue will be at Ayala Malls South Park and is so far the only big convention happening in the South. 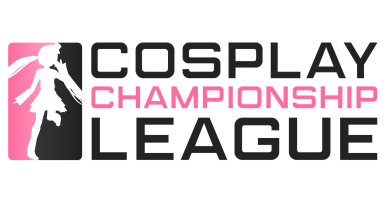 The winner of the 3 cosplay categories at Cosmic Con 2017 will automatically have a slot for the Fantasm Cosplay Challenge Finals happening at Pinoy Otaku Festival (POF) 2017: Danketsu. 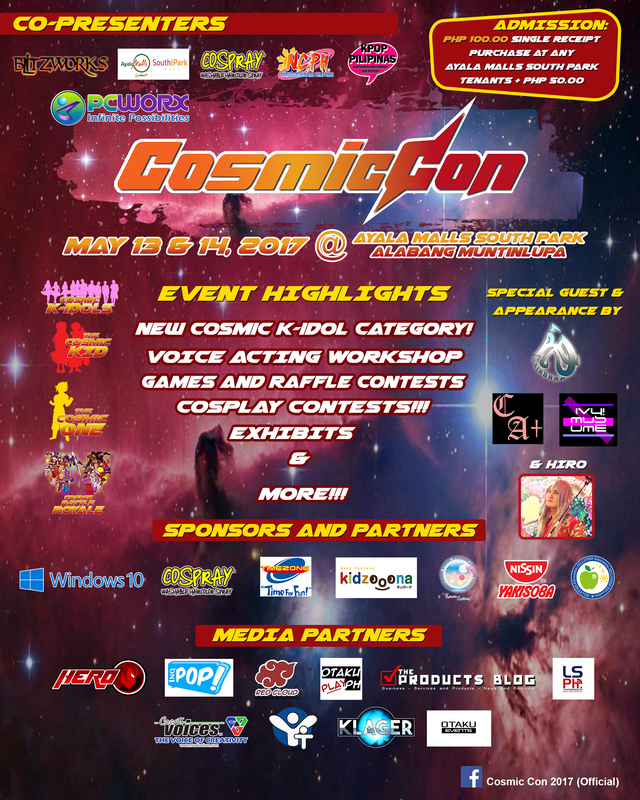 Cosmic Con 2017 will bring a new genre in its event – Cosmic K-Idol. 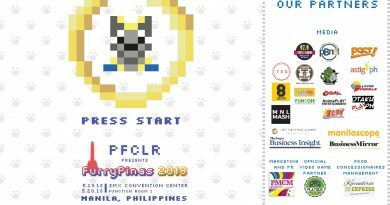 This is a competition where those who are fans of Korean pop culture will have a chance to showcase their talents in singing, dancing, cosplaying and even fashion. It is one single competition to determine who will stand out among them and also to show appreciation for the popularity of korean pop in the country. 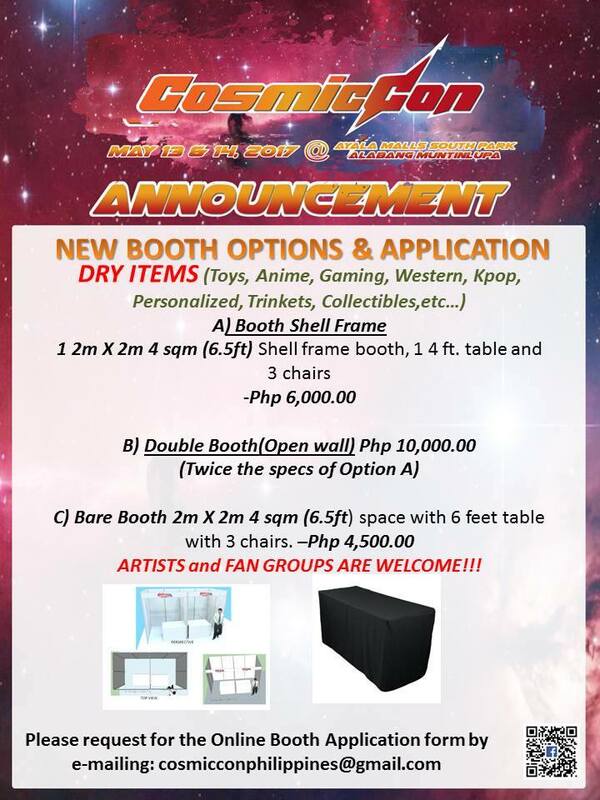 KPop Pilipinas, the newest community and fan-based community in the Philippines is hosting the competition together with Red Cloud Interactive. The best among the best will be given a cash prize and there will also be prizes for other talented entries. 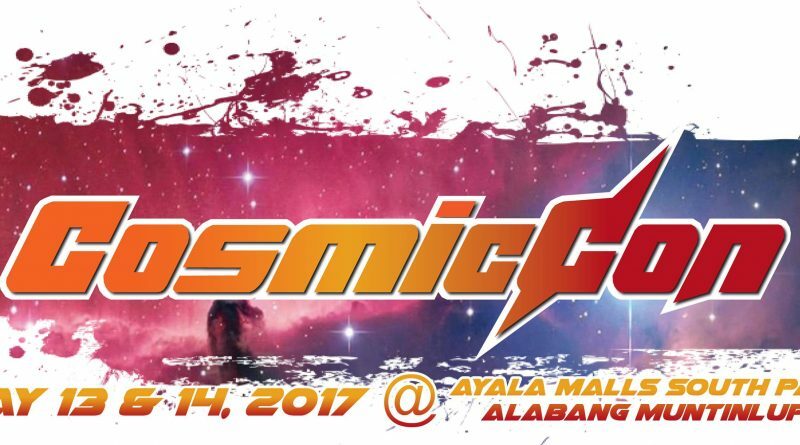 Ayala Malls opens up a new and bigger opportunity for Cosmic Con 2017 which will benefit their exhibitors and partners. The event also brings more media coverage as well as activities. Their 2-day event will surely be a weekend of pure fandom and fun. Ayala Malls South Park is one of the newesy Ayala Malls in Metro Manila which is just beside Metropolis Alabang. Here are some ways to get to the event. From Laguna: Take jeepney ride to Alabang via National Road, get off Ayala Malls South Park. 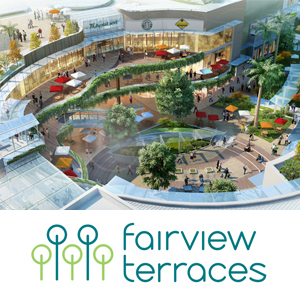 VERY NEAR Starmall Alabang. From Cavite or Las Pinas: From Alabang-Zapote Road get off opposite road of StarmallAlabang. Take a short jeep ride Muntinlupa or walk. From EDSA: Take Skyway Alabang Pacita bus, get off Starmall, take short jeep ride Muntinlupa or walk. Cosmic Con 2017 is offering free admission to all mothers as a Mother’s Day gift, as well as to children below 7 years old. Admission to the event requires you to present a Php100.00 Single Purchase Receipt from any store or tenant of Ayala Malls South Park dated May 8 to May 14 (If you have more than the amount it could admit 1 person per Php100). 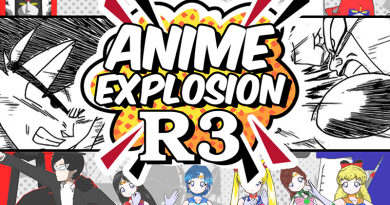 Aside from that you also need to pay a Php50 entrance fee at the event. For more information about Cosmic Con 2017 you can visit their official Facebook event page at THIS LINK.